A personalized shopping experience can increase conversions. There are many sophisticated personalization platforms that help with this. But there are also simple, inexpensive personalization strategies that most any merchant can use. This article profiles six examples of effective personalization strategies that small businesses have implemented. 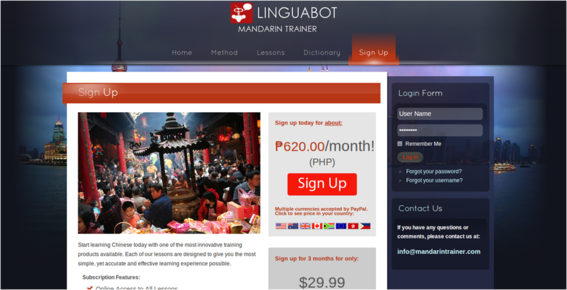 MandarinTrainer.com, a subscription-based language-learning site, saw a significant increase in signups with a simple tweak in how it display its prices. The company analyzed its Google Analytics data and saw that a large portion of visitors was from the Philippines and Hong Kong. It added a small script to the site’s sign-up page that displays prices in those local currencies. “After adding Hong Kong dollars and Philippine pesos to our price list, we saw our subscriptions in those regions increase by roughly 14 percent” said founder Tom Clowers. “I think it meant something to our customers that we were recognizing their importance to us”. If most of your traffic is from abroad, incorporate local currencies and languages into your site to encourage those visitors to buy, or sign up. Online lingerie store Adore Me recommends products based on each shopper’s taste and style. When shoppers open an account, Adore Me asks them to take a survey to determine their lingerie preferences. Shoppers will then be able to access a personalized showroom filled with lingerie items that correspond to their styles. Moreover, Adore Me also offers individual assistance from a lingerie expert. “When a customer enters our site, a live stylist is there to assist the customer with whatever they need via a chat box on the bottom right corner that pops up. The chat responses by the expert stylist are quick, efficient, and personalized since it’s a real person who is the style expert. None of that automated nonsense” said Emily Love, sourcing manager for Adore Me. Use short surveys to determine what your customers need or want. Then use the results to personalize their experience. 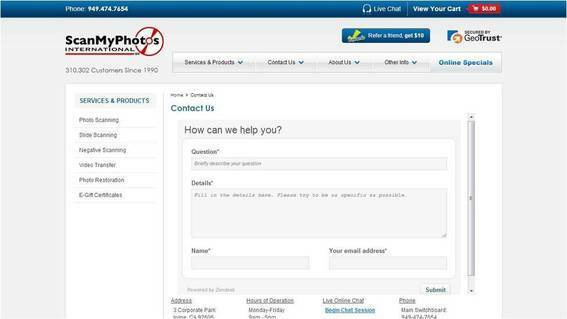 Give shoppers a virtual helping hand by means of live chat. Pet accessories store Whiner & Diner has personalization at the core of its business. Each of its products can be customized for free with a hand-painted name of the pet. 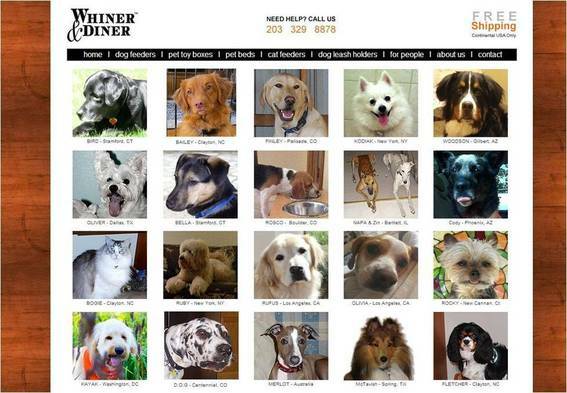 It also allows its customers showcase their pets on the Whiner & Diner website. According to Simms, this practice allowed the company to gain repeat customers and word-of-mouth business. Personalize your customers’ experience by featuring them on your website. 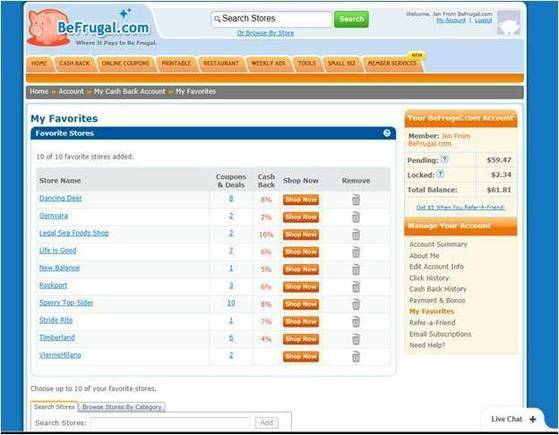 BeFrugal.com, a community of thrifty shoppers, improves the shopping experience by sending shoppers personalized coupons based on the favorite stores that they’ve shared in their preferences as well as their recent activity on the site. Pay attention to your customers’ preferences and their site activity so you can tailor your offers accordingly. Rivet & Sway is an online eyeglass retailer for females. 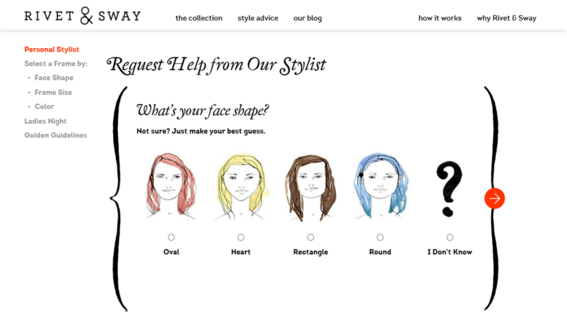 It offers “Ritzy,” a personal stylist, to help shoppers select the frames that are best suited to the shape of their face, hair color, and personal style. Lusk also calls — or emails if the client isn’t available — each customer to follow up on the purchase, to ensure satisfaction. These techniques have boosted Rivet & Sway’s word-of mouth business and allowed the company to create a loyal following. According to Lusk, around 40 percent of sales come from recommendations of existing customers. Don’t skimp on personal follow-ups. And if it makes sense for your business, consider hiring someone to assist and collaborate with your shoppers. It’s an effective method to boost repeat and word-of-mouth sales. ScanMyPhotos.com provides photo, slide, and negative scanning services. It improves customer experience and boosts sales through personalized emails and follow-ups. “We are very personal and each email is customized to refer to the customer’s order,” said Mitch Goldstone, president and CEO of ScanMyPhotos. The company also sends personalized emails to returning shoppers as well as to customers who bring in referrals. Drop the canned responses and tailor your messages to each of your customers. Also, never underestimate the power of thank you messages for returning customers and affiliates. Is Pinterest the Best Social Platform for Ecommerce?